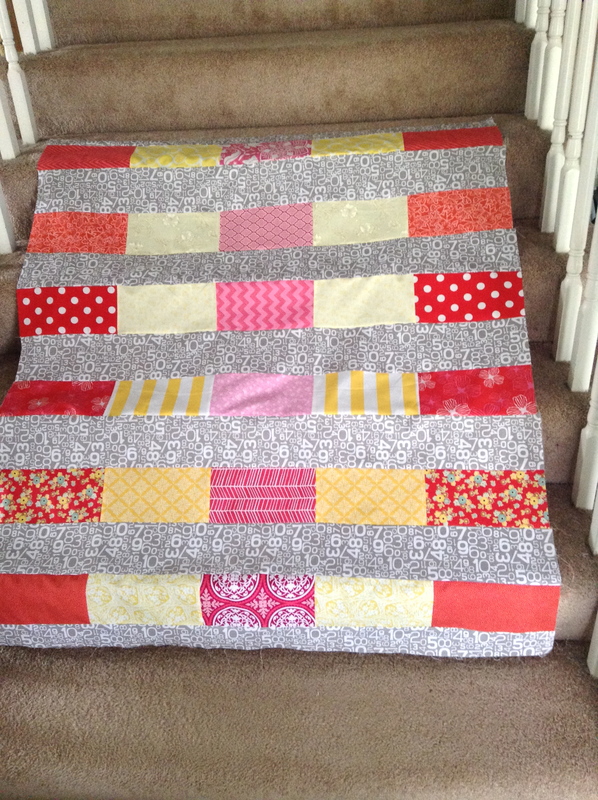 In October of last year, I snagged some fabric for our local Project Linus’s challenge. The fabric was some bright fish on a dark blue background. I had a vague idea of what I wanted to do for a long time, and then I saw a picture of a carpenter’s square block and it crystallized in my mind. 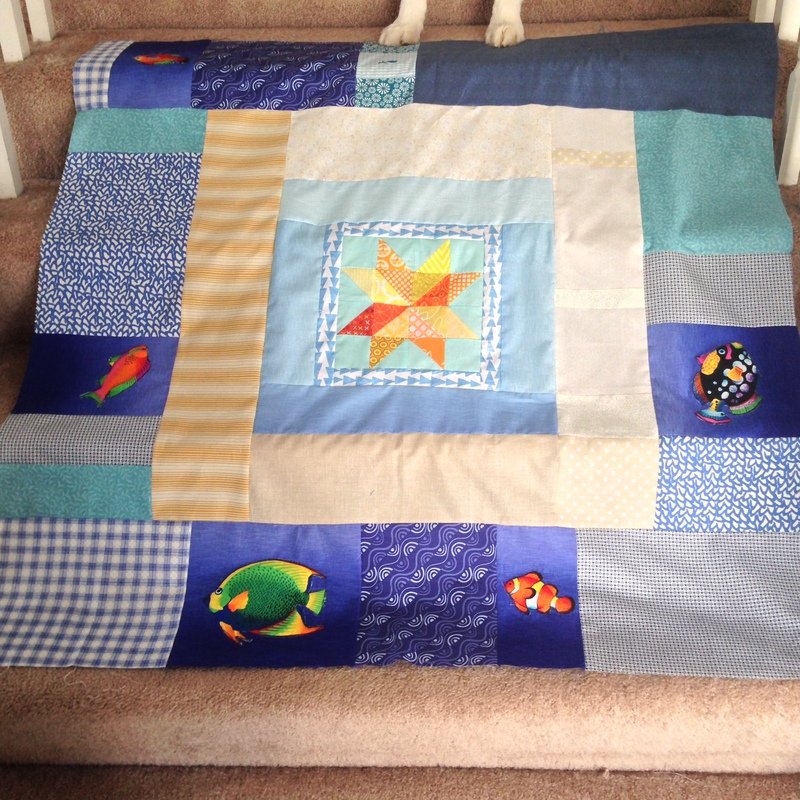 I put the “sun” in the center, followed by sky, sand, and sea with the appliqued fishies. I used fusible fleece on the fish so they puffed out a bit. 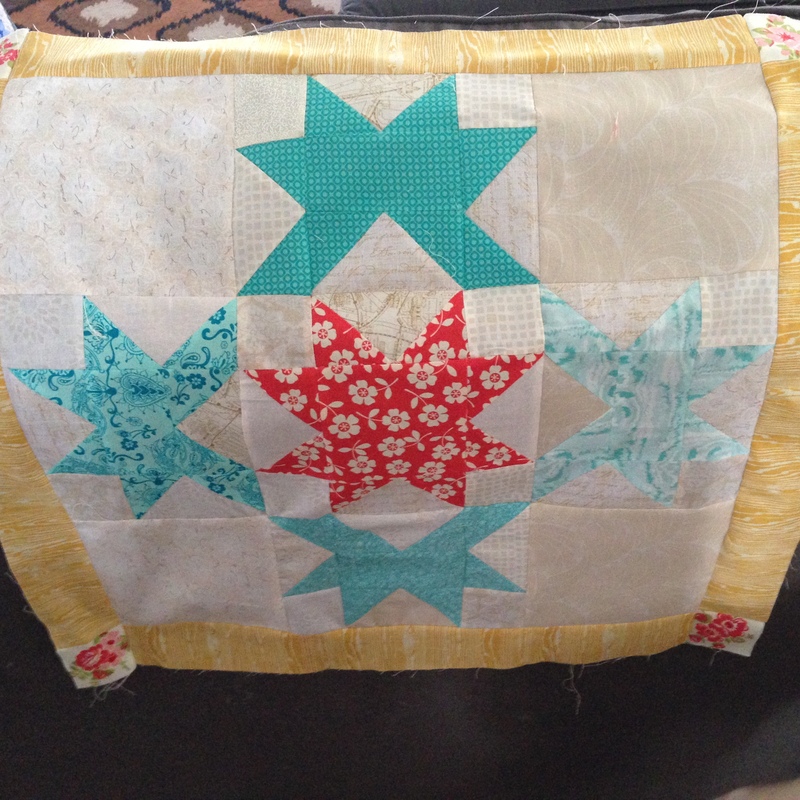 The quilting went a bit south. I wanted it to look like weather patterns – fronts moving in and hitting each other. Sigh. 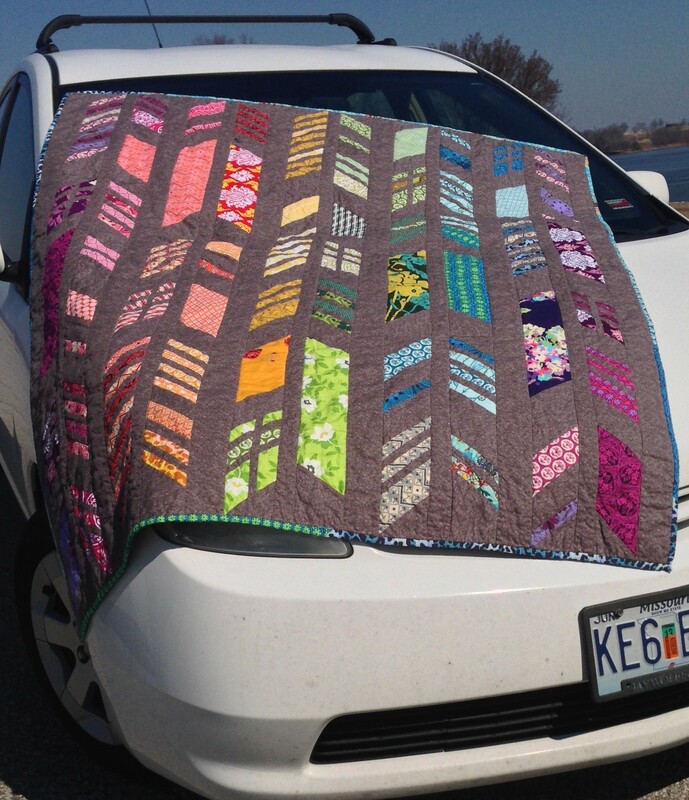 More than my very basic quilting skills could handle. 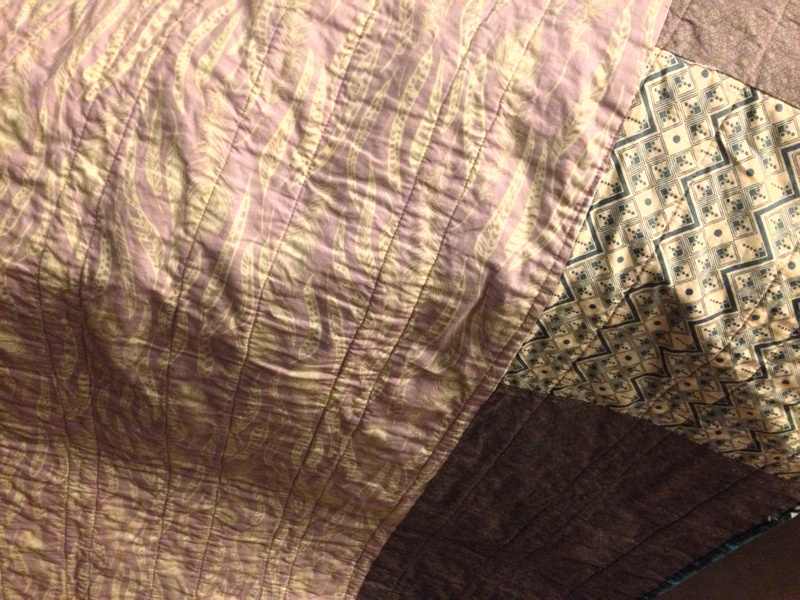 But in the end it looked ok – definitely gave the quilt a lot of movement. This is Project Linus #3 finish for this year. Behind on my goal of one per month, but I will get caught up. Linking up with Amanda for Finish It Friday. 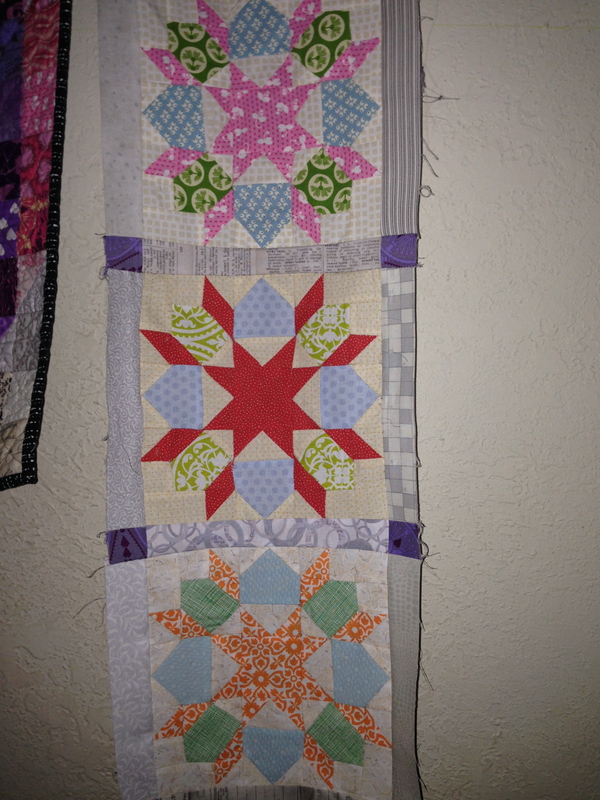 On Friday night, I ignored all of my in-progress projects and started a small girl quilt. It is my default. I got a hankering to do a pink, red, yellow something or other. So I started making 1/2 square triangles, and by this morning, I had this – totes adorbs chevrons on a background of my favorite Dictionary print by Tim Holtz. Love. But I had no idea what I was going to do with it. No target audience, as it were. I secured a pair of little girls who could be the willing recipients… and I made another one that related, but wasn’t the same. Still pink, red, yellow – but with a numbers instead of words background. And I love it also. 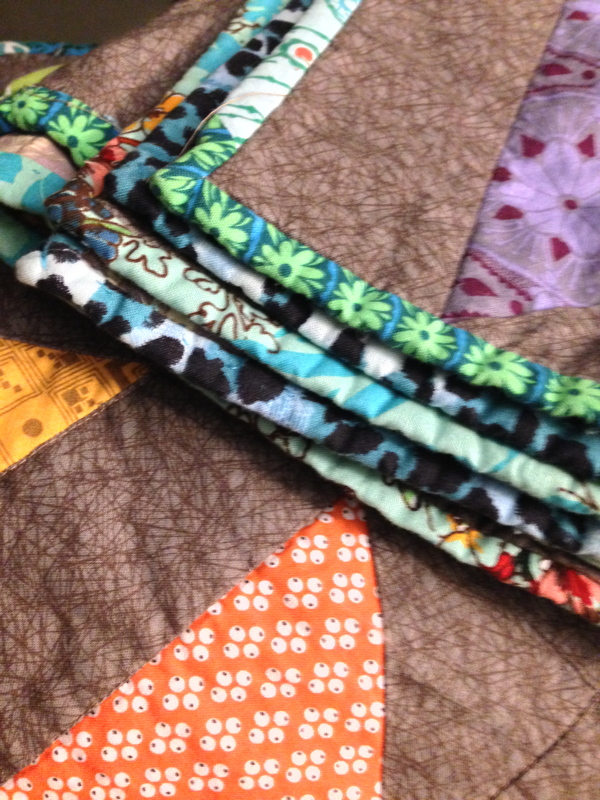 There is some quilting and binding in my near future! Some works in progress a few days before my 40th birthday… woot! 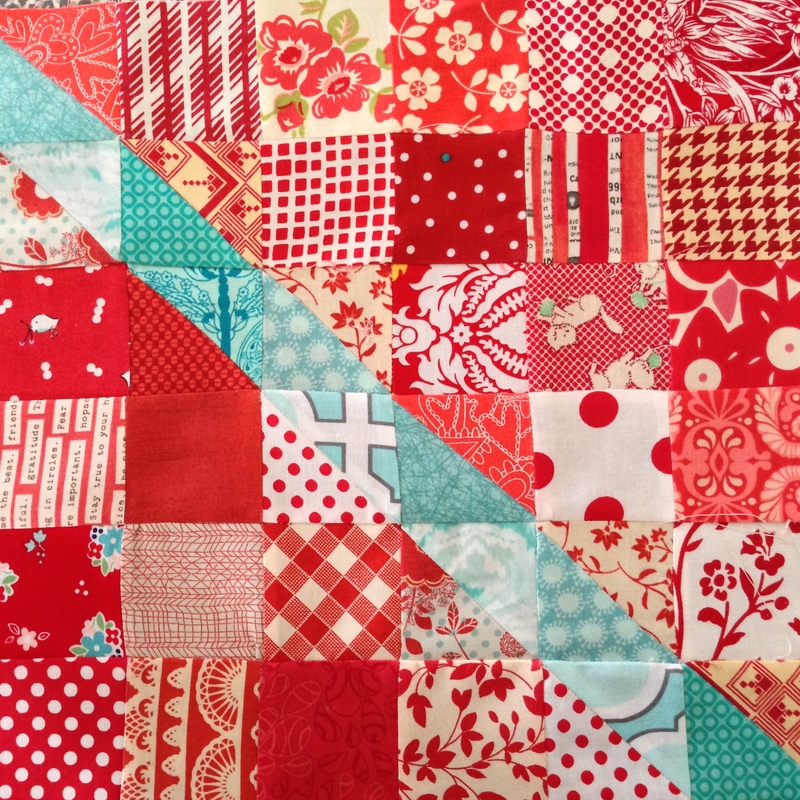 I have been working on a mini swoon quilt. 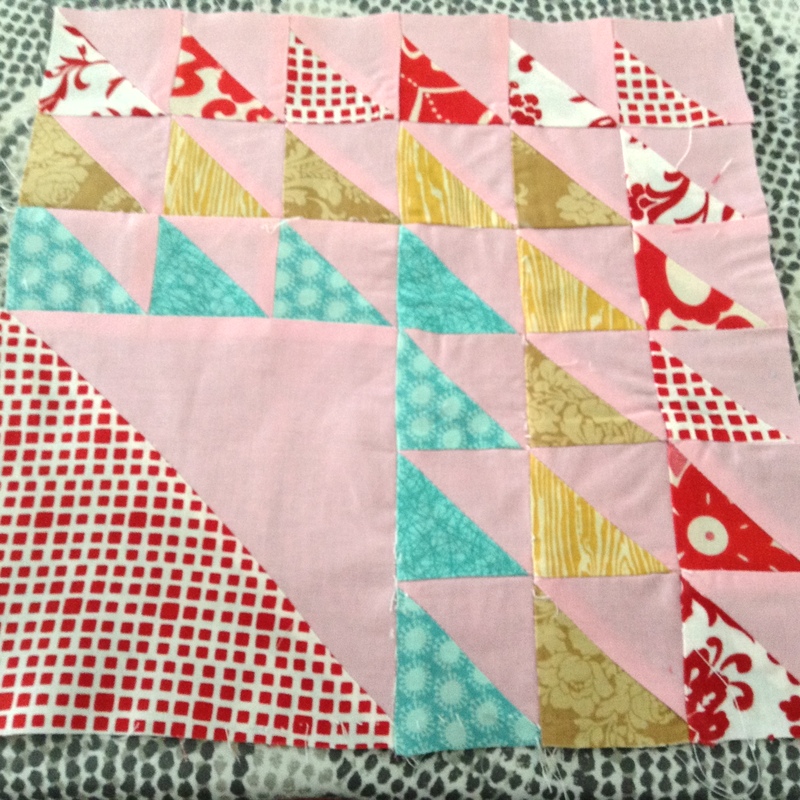 My last block has some serious out of line lines that I will need to fix… but this is an adorable little pattern. And each. block. takes. me. 3. hours! And I made this little coaster using the rise and shine mini patten. I spent a very frustrating afternoon making it. I think it is only slightly better than hideous. 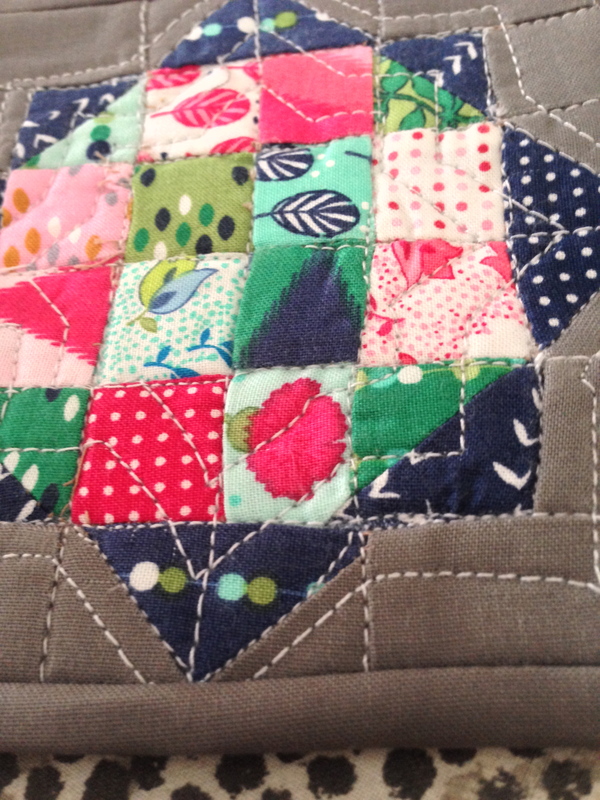 But then it got more likes on my Instragram feed than any other previous quilting picture… maybe pity likes? Anyway, it serves its purpose at work. 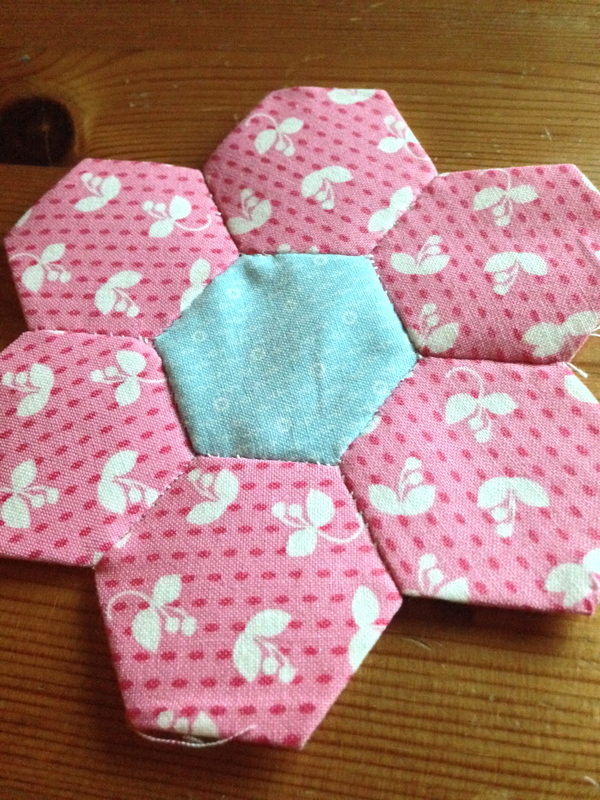 Finally, a wee bit of hexagon english paper piecing. 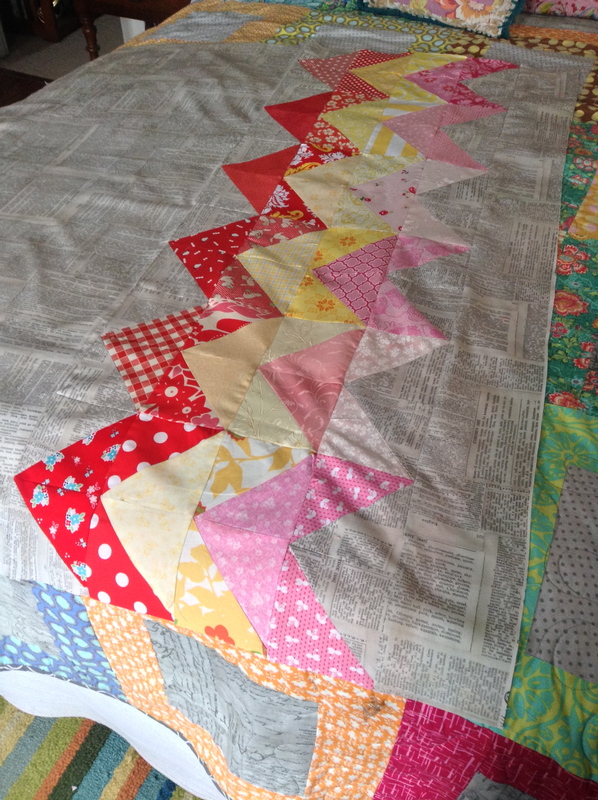 I actually have a plan for this one… I have made a lot of hexagons with no plan, so improvement.